Legacy Build kicks off this weekend! This weekend the Fuller Center will kick off its second annual Millard Fuller Legacy Build where volunteers will build, renovate or dedicate homes for more than 100 low-income families. More than 1,000 will volunteer across the country and around the world Sept. 3-11 to help complete at least 100 simple, decent homes from Alabama to El Salvador. 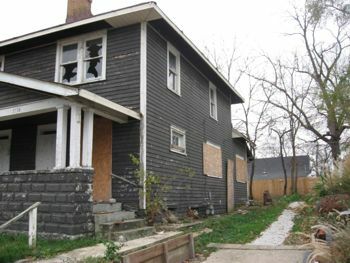 The weeklong event, centered in Indianapolis, honors The Fuller Center’s and Habitat for Humanity’s late founder, Millard Fuller, and his vision of eliminating poverty housing. View the official schedule of events (including details on the kickoff parade, booksigning and more) here! “Our folks in Indianapolis are working hard to prepare for the hundreds of volunteers who will be heading their direction in just a few weeks,” David Snell, Fuller Center president, said. 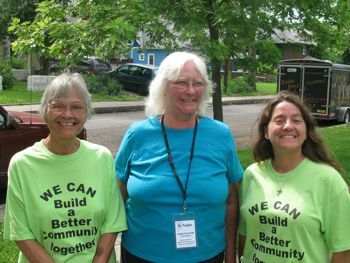 “Millard led a team of walkers 700 miles from Americus to Indianapolis to celebrate Habitat for Humanity’s seventh anniversary. And we’re returning with joy to celebrate our fifth anniversary by building new houses and renovating old ones. There could be no more fitting memorial." View a VIDEO invitation from Jeff Cardwell of the Fuller Center of Central Indiana, posted on the Legacy Build blog here. Seven new homes will be constructed there during the week and 17 others will be repaired or renovated. The homeowners are chosen and eager to begin building or repairing their homes. See profiles of some of the partnering families here. Hundreds are scheduled to travel to Indianapolis for the week of building. People willing to come out, skilled or unskilled, and pick up a hammer or a paintbrush will be put to work helping one of the 24 partnering Indianapolis families. In addition, the Fuller Center of Indianapolis is still hoping to raise about $50,000 to make this project possible. Donate now! The week in Indianapolis will include more than building. The kickoff will feature Indy’s annual Miracle Mile Parade on Saturday, Sept. 4 at 1 p.m. A board meeting will precede the build on Friday and Saturday. And midweek, Thursday Sept. 9, will feature the premiere of a documentary about Millard Fuller and also Fuller’s first and last book, “Beyond the American Dream.” Read about the book and its launch here! Dedications for the homes will take place Friday at 3 p.m. after five days of building. Find more details, with maps and registration forms online here. DONATE to the Legacy Build here. Read a story about a family in a four-home complex that will be dedicated in Nigeria as part of the Legacy Build. Official Legacy Build blog – bookmark it as the event draws near!